Are you thinking of upgrading the flooring of your home in Fairfax? Luxury vinyl flooring is a great option when you want the look of hardwood, natural stone or ceramic tile flooring, without the added cost. Flooring America Fairfax offers a wide selection of luxury vinyl tiles and luxury vinyl planks in Fairfax to ensure that the needs and tastes of every family are met. 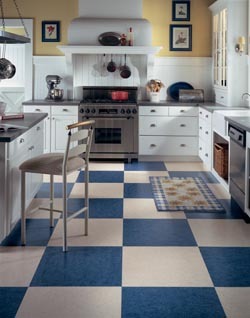 We offer the widest selection of luxury vinyl tile in Fairfax! When you want the luxury look of stone or ceramic tile, without the high costs and high maintenance, you should invest in luxury vinyl tile. Fairfax residents can now enhance their homes with this beautiful flooring without having to break the bank! This flooring is considered “floating” flooring, which means that your Fairfax luxury vinyl tile will easily snap or lock together for easy installment. You won’t have to worry with the hassle of applying adhesive before installing! Flooring America Fairfax offers luxury vinyl tile that maintains its appearance far into the future, while also needing minimal upkeep. You won’t have to worry about stains, spills, or grout with luxury vinyl flooring. If that’s not an incentive, then we don’t know what is! What is Vinyl Plank Flooring in Fairfax? If you are set on having the look of natural hardwood floors in your home in Fairfax, consider luxury vinyl planks. Available in a variety of wood stains and grain levels, you can install vinyl plank flooring in Fairfax for a fraction of the cost of hardwood planks! Designed to install in the same shape as the typical hardwood flooring, this vinyl flooring is just one of the many luxury vinyl flooring options we offer at Flooring America Fairfax. Downs – This brand is exclusively sold at your local Flooring America. With features such as easy installment and locking tiles, you can’t go wrong with choosing this Fairfax vinyl flooring. Naturcor – This brand of vinyl flooring in Fairfax offers an Indoor Air Quality Certification, meaning that all of their vinyl carries a seal of safety approval for all homes. You can choose between traditional hardwood and classic ceramic tile styles. Call <PHONE> today to find out more about luxury vinyl tile in Fairfax. Or, fill out the convenient form right here! We're proud to serve customers in Fairfax, Fairfax Station, Falls Church, Centreville, Gainesville, Manassas, Burke, Arlington, Alexandria, Oakton, Chantilly, Reston, Vienna, McLean, Springfield, Tysons Corner, Virginia; and Washington, DC.